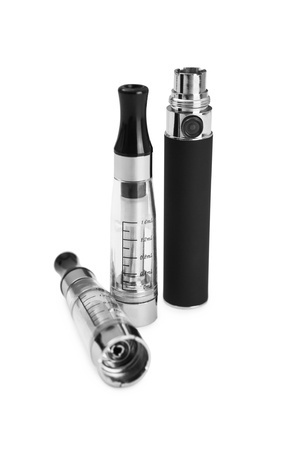 E-cigarettes are growing in popularity. However, little is known about their potential health impacts. Some research suggests that vaping may expose users to formaldehyde and other dangerous chemicals. To learn more, please contact our attorneys today by calling (888) 994-5118. February 2015: The Center for Environmental Health has filed suit against dozens of e-cigarette manufacturers, after testing allegedly uncovered cancer-causing ingredients in some popular brands., The complaint charges that the defendants, including RJ Reynolds, NJoy and ITG Brands, violated California’s Proposition 65 by failing to warn consumers about the high levels of harmful chemicals in their products. The lawsuit seeks a recall of the e-cig products named in the complaint, as well as the addition of clear and reasonable warning to those sold in the future. January 2016: Research published in Oral Oncology suggests that vaping liquid can damage epithelial cells and DNA in a way that could promote cancer. December 2015: Harvard researchers analyzing 51 e-cigarette products found the flavoring diacetyl in 39 (up to 239 μg/e-cigarette). Diacetyl has been linked to a dangerous respiratory ailment called popcorn lung, The study team also found that 46 flavored e-cigarettes contained acetoin (up to 529 μg/e-cigarette) and 23 contained 2,3-pentanedione (up to 64 μg/e-cigarette). Both of those chemicals have been tied to lung disorders. May 2014: The New York Times reports on two studies that found formaldehyde in the vapor produced by e-cigarettes known as tank systems. You may be eligible to file an e-cgarette lawsuit if you or a loved one experienced health issues that could be associated with vaping. To find out more, please call(888) 994-5118 to talk with a member of our legal team.